Jon Thorne has just moved on to the Isle of Wight and is establishing himself as a popular member of the local music community. Jon's career as a double bassist and composer has spanned a broad range of the musical spectrum. He has recorded, performed and appeared on albums alongside artists as diverse as Liam Bailey, Kathryn Williams, Robert Miles, Trilok Gurtu, Robert Fripp, Donovon, John Smith, Lou Rhodes, James Yorkston, Love Amongst Ruin, King Creosote, Sam Carter, Amos Lee, The Memory Band, Mr Scruff, The Accidental, Jesca Hoop, Ryuichi Sakamoto and Martha Tilston. 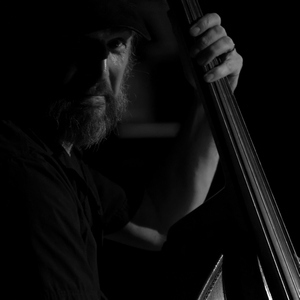 As a jazz double bassist Jon has played with many contemporary jazz musicians including Guy Barker, David Liebman, Ian Ballamy, Dave O'Higgins, Don Weller, Jean Toussaint, Gilad Atzmon, Ben Castle, Ed Jones, Byron Wallen, Martin Shaw, Jim Mullen, Alan Barnes, Jonathan Gee, Anita Wardell, and Claire Teal. He has performed at Glastonbury, Montreaux Jazz, North Sea Jazz, NYC Central Park Summerstage, and the Brecon Jazz Festival. He leads the ensemble Oedipus Mingus, an octet performing original arrangements of the music of Charles Mingus. Jon's debut album Manchester Road was released through SAM LTD/ EGEA records in 2006 . He wrote, recorded and produced his second album "Watching the Well", composed as a showcase for his mentor, legendary British bassist Danny Thompson. It was released on the Naim label in 2010.